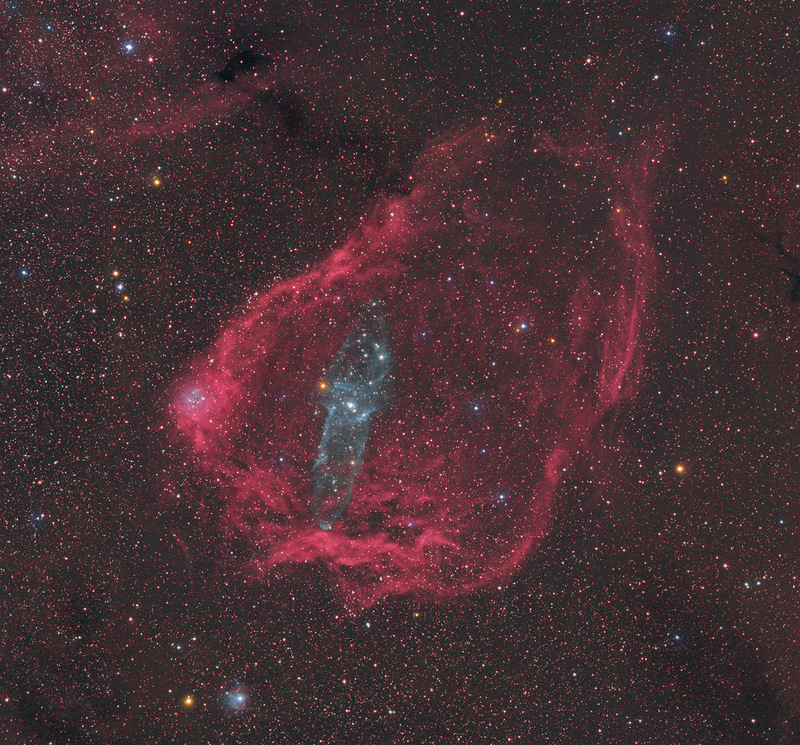 Explanation: Very faint but also very large on planet Earth's sky, a giant Squid Nebula cataloged as Ou4, and Sh2-129 also known as the Flying Bat Nebula, are both caught in this scene toward the royal constellation Cepheus. Composed with a total of 20 hours of broadband and narrowband data, the telescopic field of view is almost 4 degrees or 8 Full Moons across. Discovered in 2011 by French astro-imager Nicolas Outters, the Squid Nebula's alluring bipolar shape is distinguished here by the telltale blue-green emission from doubly ionized oxygen atoms. Though apparently completely surrounded by the reddish hydrogen emission region Sh2-129, the true distance and nature of the Squid Nebula have been difficult to determine. Still, a recent investigation suggests Ou4 really does lie within Sh2-129 some 2,300 light-years away. Consistent with that scenario, Ou4 would represent a spectacular outflow driven by HR8119, a triple system of hot, massive stars seen near the center of the nebula. 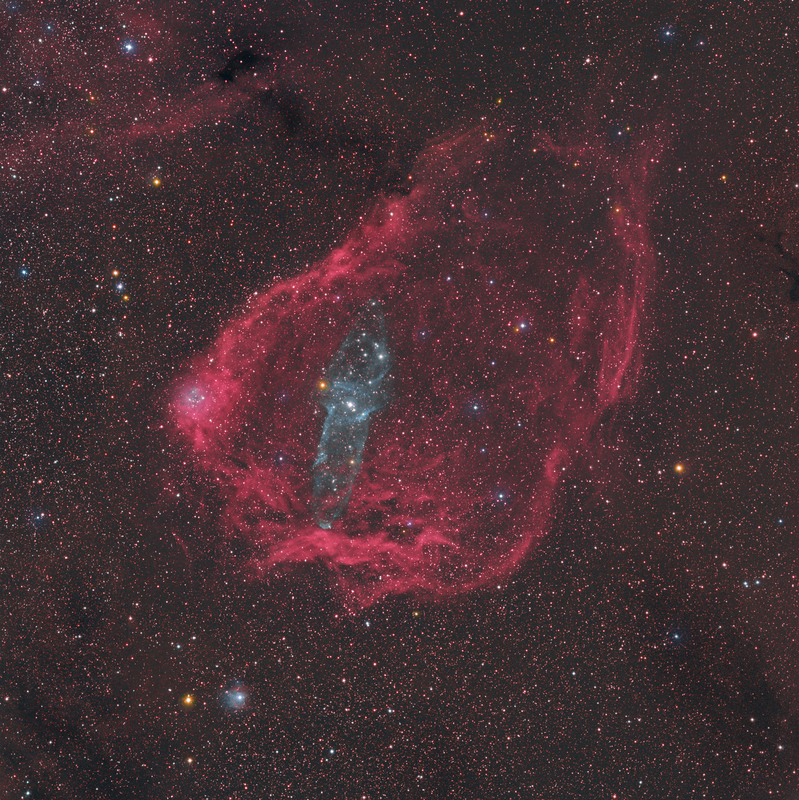 If so, the truly giant Squid Nebula would physically be nearly 50 light-years across.